This had to be my favorite book so far this spring - it really had me going and it was on the move, i could keep up, it kept me wanting more and for 610 pages - I ate it up in two days! It has you guessing who killed the Queen and who is going to replace her. I had idea through the book but I NEVER would have guessed the true killer or who was going to be Queen. I love that!! 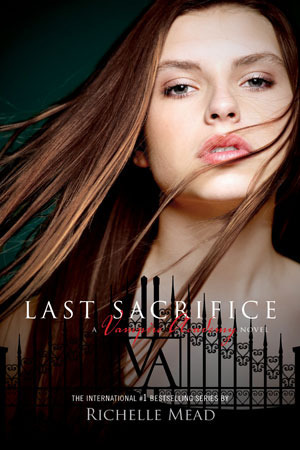 OF COURSE you want more but this is the last book in this series - Last Sacrifice will be the last book about Rose, but it'll be followed by a spin-off series still set in the Vampire Academy world. Side characters we know from the current series will now be our main characters, and there'll be a whole new storyline (not the last one told from a different perspective). It is scheduled for release in August 2011 and is called Bloodlines.